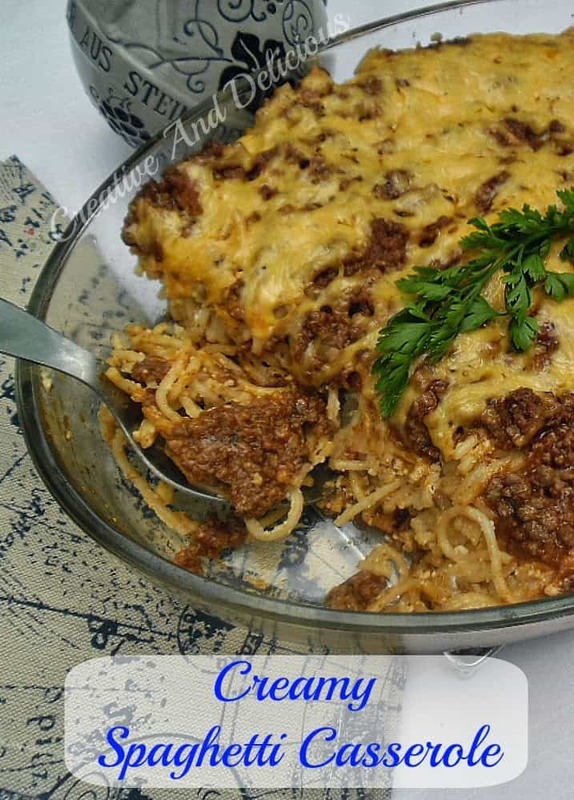 Creamy Spaghetti Casserole is a simple yet delicious, pasta casserole, which is very filling. 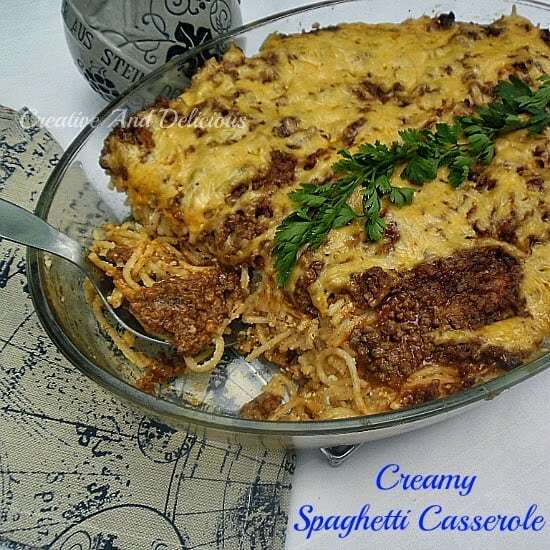 With ground beef, pasta sauce, ricotta cheese and more. This rich and creamy spaghetti pasta is perfect for a busy weeknight dinner. 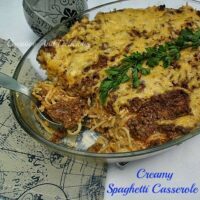 I make this specific recipe quite often, because I normally have everything in my pantry and well, ground beef is a must in our house. As this is a very filling meal, I only serve a crunchy green salad on the side. However, it does happen that I use cream cheese instead of the ricotta, but I would then always use a low-fat cream cheese. Ricotta in spaghetti nice, it makes everything better! G'day! 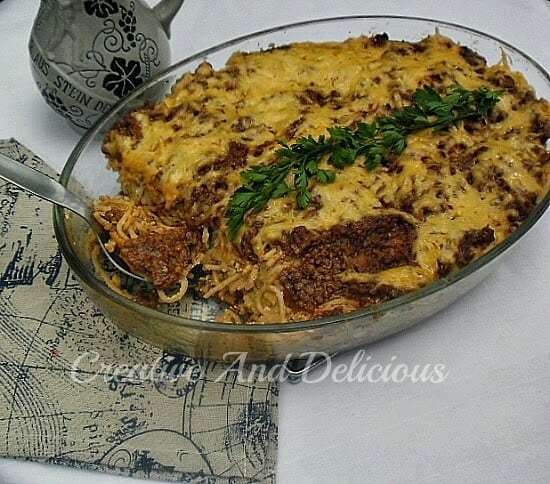 What a warm and welcoming dish! Saw this on facebook and yummmm! I bet the ricotta makes it taste a little more like lasagne for sure. I don’t understand the measurements in recipe. How much is 500 g ground beef???? Thanks.